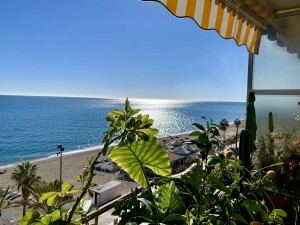 Bright corner apartment with panoramic sea views, located on the 1st and top floor of the prestigious complex of Miraflores walking to all services and the beach. Direct access from the street by a small staircase with only 8 steps. 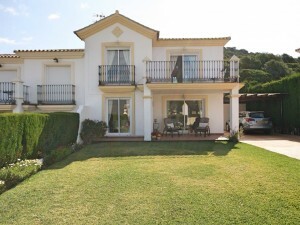 Living room with access to a large glazed terrace with dining table and open views to the sea and surroundings. Kitchen equipped and open to the living room. Two bedrooms and a bathroom. Property in very good condition with air conditioning (hot & cold) in the living room and in the 2 bedrooms, fitted wardrobes and double glazed windows with shutters. 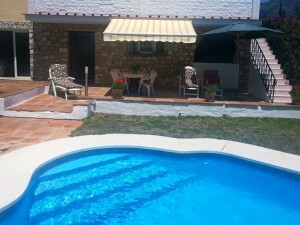 Great urbanization with a huge pool open all year plus a children''s pool, pool bar open from April until the end of summer, beautiful gardens, community parking and 24 hour security. Built size 67,35m2. Terrace 10m2. IBI 330? per year. Rubbish 78? per year. Community 199? per month. Supermarket, bars, restaurants, pharmacy and shops 1km. 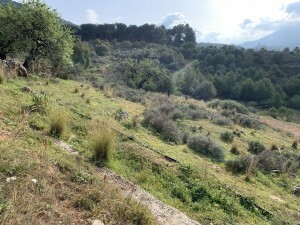 The Cala de Mijas 2.5km.